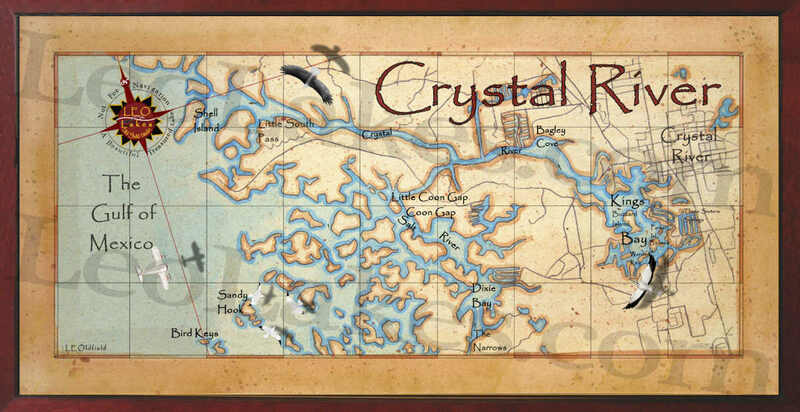 No, Crystal River is not located in the Wizard of Oz. 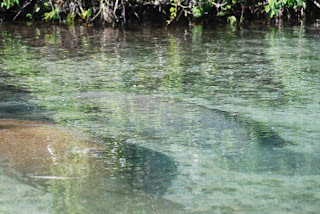 Crystal River is a beautiful river in Florida and the water is amazingly clear, which makes Crystal River an appropriately named river. Unfortunately, there's no trout in the river, but just think how beautiful they would look in this crystal clear water! I just finished a new painting of Crystal River and it turned out great. I have canoed a river near here named the Weeki Wackee. Yep, that is the real name. There were many different birds along the river, but the special moment was seeing the manatees. 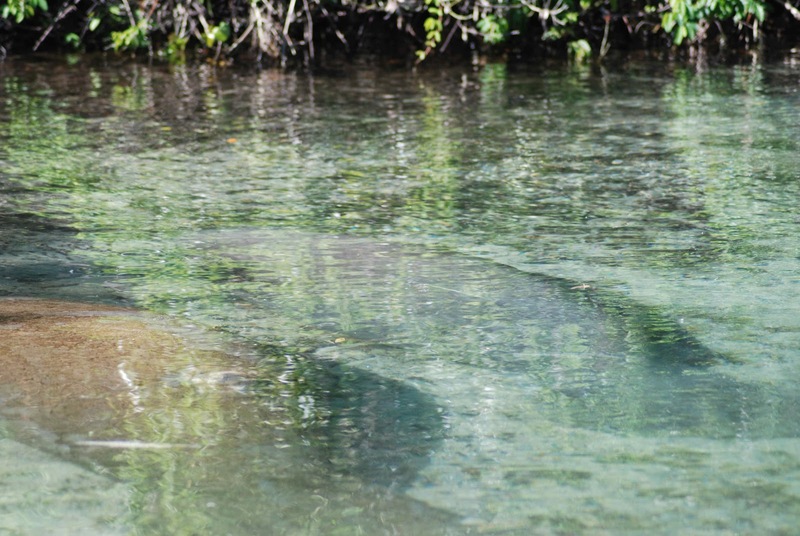 Here are the manatees we came upon, a mother and calf. They are very gentle creatures, which gave me an idea for my river, lake and bay paintings. The manatees almost seem like mermaids and for the past 6-8 months, I have been adding very small mermaids to the waters of my painting. I got the idea from these two manatees. It's been a hit, folks gaze into the map until they find the mermaid. 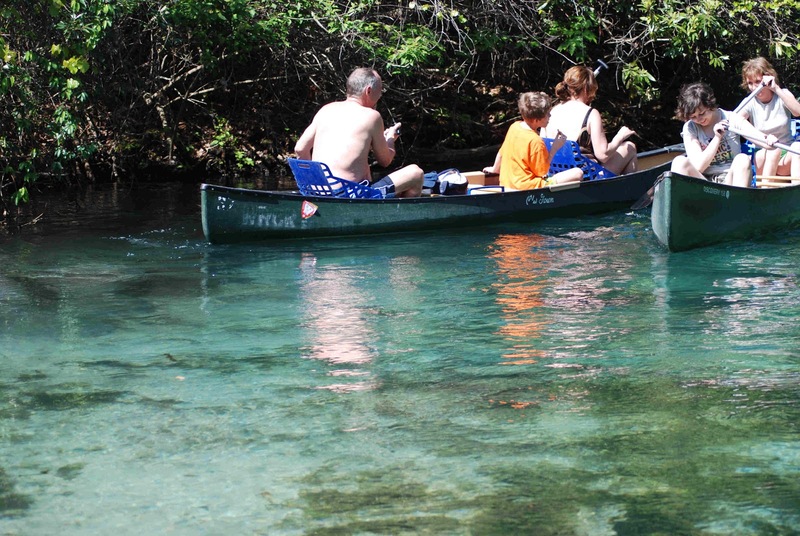 Oh, back to the Weeki Wackee, the water is so clear, you can see the bottom no matter how deep. These pictures do not do it justice. It's like watching nature in very high definition, but you are there. 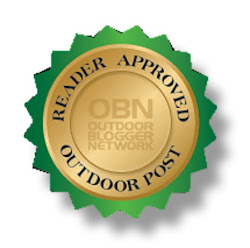 So, as I say, "get away from the big screen and get on a big stream." Place in South Florida called Hugh Taylor Birch State Park. Canoe around crystal clear water just like Weeki Wackee. Nice, never heard of that park, but the water is so clear down there.